“It seems like almost every LP here has something to do with somebody in Canada right now,” Yona Levy, CEO of Alvit LCS Pharma, asserted to The Media Line. “Canada is probably the most mature market now in terms of cannabis in the world. They’ve taken it very seriously and they’ve approached it the right way,” she said. “It all got held up by Israeli Prime Minister Binyamin Netanyahu, who said ‘I want to do a final review before we allow exports,’” Kaye, who created CannaTech, asserted. 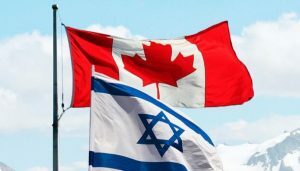 “A third of my investors are Canadians, a third are Australians and a third are Americans so we need to be able to export to other countries.” For its part, the Canadian government is ready and willing to collaborate with Israeli companies in the near future. “Canada does not support any international trade in cannabis for non-medical or non-research purposes,” she added. Despite the legislative and bureaucratic hurdles that remain, some in the industry have found creative ways to keep their businesses alive. “We’re concerned about the regulations,” Alvit Pharma’s Levy conceded, adding, “and that’s why with regards to research and development it’s very simple. Israel doesn’t give us permission? 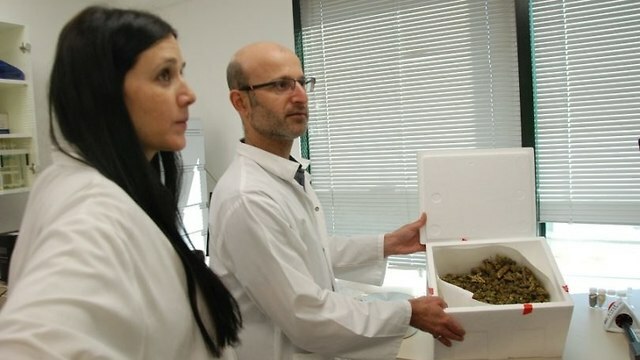 Well, I’ll take my recipe and I’ll (create my product) somewhere else.” To circumvent legislative hurdles and the export ban, some Israeli businesses have relocated their research and development facilities to other nations, whereas other entrepreneurs have started growing marijuana outside of Israel. One such company is Together Pharma, which recently reached an agreement with an unnamed Canadian firm to sell five tons of cannabis oil worth hundreds of millions of dollars. “Due to the Israeli export regulations, we are opening a greenhouse in Uganda, where regulations to export cannabis are already in place,” Arik Filstein, founder of Together Pharma, related to The Media Line. “At the moment, Israel is losing money. Instead of taxable revenue being generated here, it’s going to other countries, which is unfortunate,” Filster concluded.